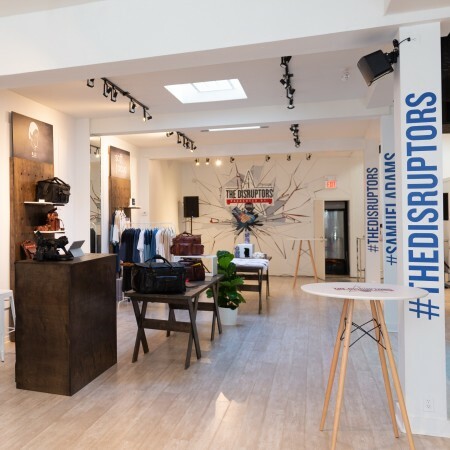 The Disruptors, Presented by Samuel Adams features merchandise from four retail partners: Loch eyewear, Xpand Laces, Soft Focus lounge wear, and 8.1.2 travel luggage and accessories. In addition, the space includes a bar offering samples of various Samuel Adams beers, including brands such as Sam ’76 and Cherry Wheat that are not available elsewhere in Canada. The Disruptors pop-up shop is located at 324 Queen Street West in Toronto, and will be open Wednesday through Sunday until October 14th. For more details, see the full announcement.